If you've taken a look at our previous cell phone reviews, you'll notice that I wrote a review very recently on the Sony Ericsson T300, the T68's little brother. Although I wanted to get a T68i for myself, the price was too high for me to spend on just a cell phone. I liked the T68i more, but I settled with the T300. If you read my review, you'll see that I enjoy the T300 very much, and I gave it a 9.5/10, a very high rating. 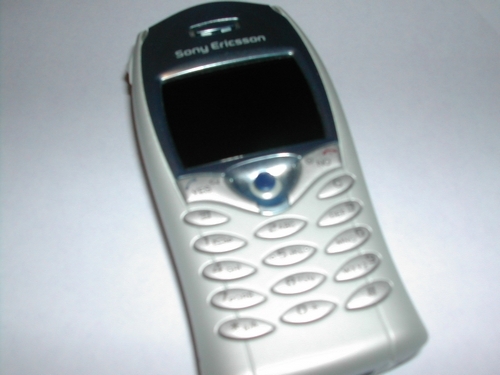 But, I wanted to compare it to the T68i, so I requested one to review from Sony Ericsson. Luckily, they quickly sent one out to review. So, what do I think of the Sony Ericsson T68i? You'll have to read on to find out. The T68i has an extensive list of features. Three things that this list doesn't mention are in my opinion the three best things about the phone; color screen, Bluetooth, and infrared. I'll talk about these things later.